Silica Dust is killing the construction work force! Must Read! Crystalline Silica, also referred to as silica dust is a toxin that is produced when cutting or grinding concrete, brick, stone, as well as other raw stone based products. The dust which is given off contains the harmful crystalline silica particles. The main issue is that this dangerous dust is inhaled into the lungs, where it may cause a deadly disease known as silicosis. Silicosis is deadly and incurable. For years professionals working in many different trades within the construction industry have succumbed to silicosis. The most important thing to remember is that like many other deadly diseases, silicosis is preventable. Every day throughout the world, thousands of people are exposed to the harmful silica dust. OSHA estimates that more than 2.3 million workers in the United States alone are exposed to silica dust. 90% of the exposed individuals work in the construction industry. Silicosis is broken down into three stages which are chronic or classic silicosis, accelerated silicosis, and acute silicosis. Chronic or classic silicosis is the most common of the three. It occurs after 15-20 years of exposure to low or moderate amounts of crystalline silica. A chest X-Ray is required to determine if lung damage has occurred. Symptoms associated with chronic or classic silicosis are shortness of breath, fatigue, chest pain, and possible repertory failure. Accelerated silicosis occurs after 5 to 10 years of exposure to high amounts of crystalline silica. The symptoms associated with accelerated silicosis are severe shortness of breath, weight loss, and weakness. Acute silicosis occurs after as little as a few months of exposure to extremely high amounts of crystalline silica. The symptoms associated with acute silicosis include severe shortness of breath which can be disabling, weakness, weight loss, and even death. The facts of the matter are that it has been known for years that silicosis is a real issue, and that people can and have died from it. So why haven’t there been changes to the regulations, and why haven’t employers attempted to protect their employees from the silica dust? 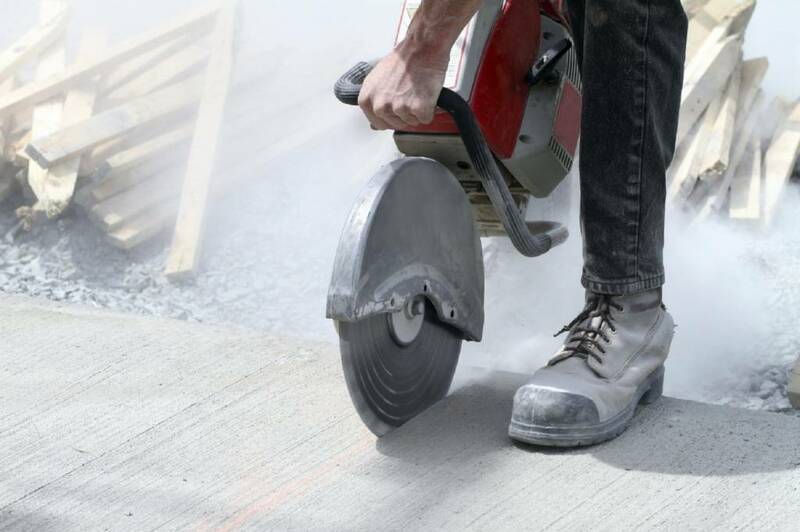 In the industry there have been two ways to protect employees from the silica dust. There is the standard hose and vacuum style of preventing the inhalation of harmful silica dust, and there is the wet cutting method. The wet cutting method utilizes water when cutting or grinding products which contain silica dust. The water encapsulates the crystalline silica particles and is safer to the employees and to the public due to the lowered risk of inhalation of silica dust. There is a byproduct which is produced when contractors "wet cut". This byproduct is called concrete slurry and is formed when water meets the silica dust and forms a goopy watery mess called slurry. Many people do not prefer to "wet cut" because they claim it is a mess to dispose of the slurry water that is created. Wet cutting can potentially save lives from silicosis. For years construction professionals have struggled with properly disposing of slurry waste water without harming the environment. In the recent months, OSHA has increased regulations regarding Silica dust and preventing silicosis. The recent regulation change must be followed in the construction industry by mid-2017. Follow the link here to see information on the entire regulation change. For years Gelmaxx slurry solutions has been fiercely campaigning to prevent silicosis. Gelmaxx slurry products were designed to help the contractor during all parts of the cleanup phase. The unique formula uses organic materials making it safe for the environment and operators, while maintain EPA compliance. Our AQUAmaxx separator reduces the amount of concrete slurry while producing reusable water for jobsite machinery. Our ECO-QUICKgel solidifier absorbs concrete slurry into a dry material that can be disposed immediately in any standard trash container. Silicosis is preventable! Together we can save lives! The next step is to take action, together lets #stopsilicosis forever.